This is easily one of my favorite images I have ever shot. I love the innocence and wonder on these little guy's faces! They look like they are so in awe of their new little brother. Newborn sessions are some of my favorites to shoot. I love being able to capture those tiny details of a fresh, new baby--because truly, they change so quickly! 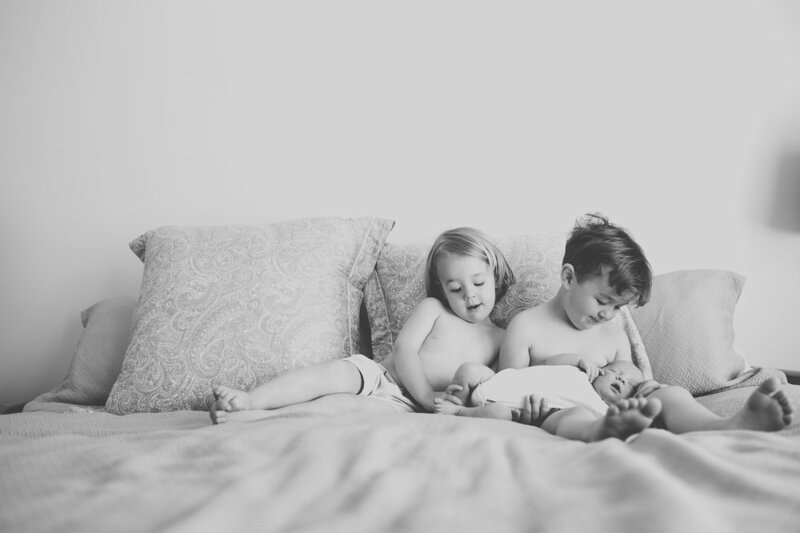 In home lifestyle sessions are perfect for newborns! 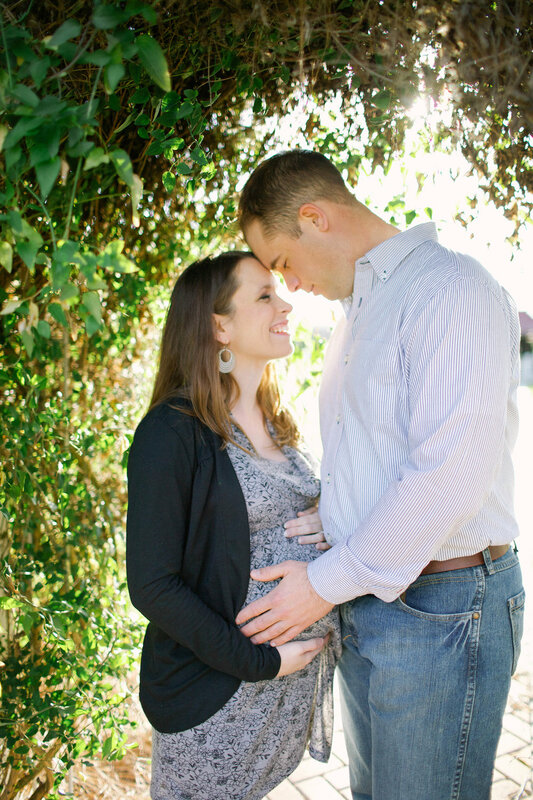 I suggest scheduling your newborn session about 7-10 days after birth. They are still so sleepy and curled up in their newness! These sessions take approximately 2-4 hours, depending on your new baby's schedule. This allows plenty of time for feeding, changing and cuddling with your baby, as well as getting them to that dreamy state where their sweet toes, fingers, ears and other tiny details can be photographed without bothering the baby. I will also bundle maternity and newborn sessions! This is the perfect way to remember these fleeting, but important times in your life! In July of 2016, I had the honor of photographing my brother and future sister-in-law's engagement session. To date it is one of my favorites, but the reason I absolutely love these photos is because they are truly candid. I seriously just stood there and snapped. Zach and Hallie are so fun and are just naturally playful and are comfortable in front of the camera. Made my job easy! :) And of course, the light was perfect because the sun had just risen on the beach at Hilton Head Island, SC. I love beach sessions!